Gonstead Physical Medicine has two Albuquerque, New Mexico locations to better serve you: Northeast Heights and Westside. Get directions to your closest office now! Different types of treatments are needed when suffering from spinal ligament injuries. Does your provider have the therapies available to address every part of the problem? Some healthcare providers are known for repairing back and neck issues, but the proven effects of spinal care reach far wider, improving migraines, asthma, allergies, and more. ALBUQUERQUE'S PREMIER SPINAL LIGAMENT INJURY SPECIALISTS! At Gonstead Physical Medicine in Albuquerque New Mexico, we pride ourselves in offering our patients and their families the most professional, warm and courteous experience! Our teamwork approach using multiple healthcare professionals and the way we are able to diagnose spinal ligament damage is as unique in healthcare as you and your family. Our doctors exclusively use the Gonstead System, which continues to yield tremendous results for patients worldwide. If you have been suffering with chronic spinal pain we urge you to click on the link below to learn more about spinal ligament injuries. We hope you enjoy the information within and share it with others. Again, thank you for visiting www.Gonstead-NM.com and remember to come back often. Gonstead Family Chiropractic Of Albuquerque, P.C. 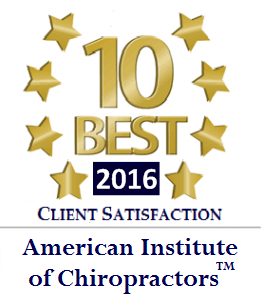 has been recognized as one of the top ABQ Chiropractic practices.